Before 2050 at least 143 million people will be forced to move within their country due to climate change. 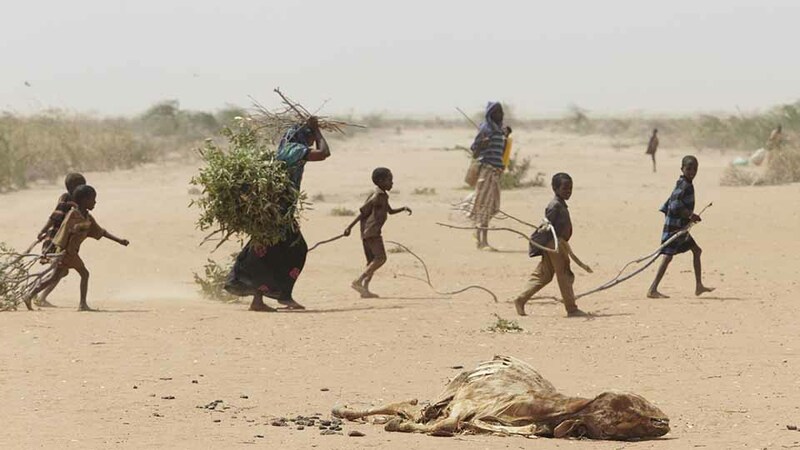 Of these 143 million, more than half – at least 86 million – will be in Sub-Saharan Africa, an area that has been suffering for decades from such phenomena as drought and recurrent famine, desertification and soil degradation, water shortages and insufficient rainfall. The remaining 40 and 17 million would be divided between South Asia and Latin America. This is the scenario that emerges from Forcibly Displaced: Toward a Development Approach Supporting Refugees, the Internally Displaced, and their Hosts, a World Bank report published in 2018. This is not the only reliable source that raises an alarm about the link between climate change and forced migration. International Organization on Migration, in 2008, and the United Nations Environment Programme (Unep) this year, have spoken clearly of the close link between the two phenomena, which are complicated by the action of other factors: conflicts, loss of livelihoods due to a decrease in productive land and livestock continue to cause displacement. “In the last 60 years at least 40% of infra-state conflicts have a connection with natural resources“, said the World Bank report, and stresses that “since 1990 at least 18 violent conflicts have been fuelled by the exploitation of natural resources“. In 1985, in a United Nations report, for the first time the term “environmental refugee” was used, which in 1997 was included in the Glossary of Environmental Statistics in reference to “a person displaced for environmental causes, in particular environmental degradation”. However, much work remains to be done to build adequate legal space for these refugees. Is it too late? Not yet. According to the report’s authors, there is some hope: with courageous and global actions to reduce greenhouse gas emissions, these figures could be reduced by 80%. It is time to act: civil society, political decision-makers, international and national institutions can no longer waste time. In particular, those who oppose mass migration: for the sake of consistency, they are the first to act.